One of the popular professional football goalkeeper is named as Jordan Pickford who plays for English Premier League club Everton and the English National Team. He is well known English celebrity. He is famous for contribution in professional life. His is one of the brilliant goalkeeper. Currently, he is playing in Everton. His Shirt number is 1. He played with Captain Harry Kane for the England national team. He was also invited for the 2018 FIFA World Cup in Russia. So, he is representing himself in Russia for the World Cup 2018 as a part of the England team by showing his talent to all. Here is all to know about him in details. 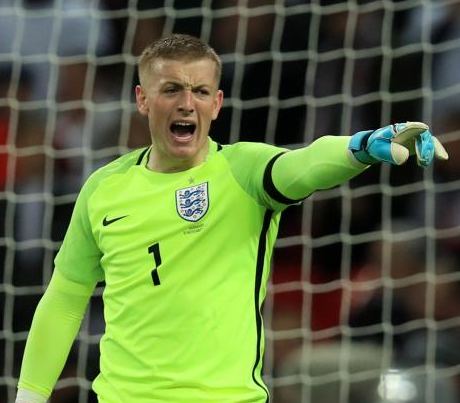 Passionate and enthusiastic goalkeeper, Jordan Pickford was born on 7th March, 1994. His full name is Jordan Lee Pickford. He was born and raised in Washington, city of England. His nationality is English. His astrological sign is Pisces. Talking about his body, his height is 1.85 m. His weight is of 77 Kg. He has balanced body with good health. He started his football journey from the club, Sunderland. Jordan Pickford was promoted to the main team of Sunderland in 2011. There, he signed his very first professional contract. Then, he moved to Darlington, on loan, in 2012. He made his debut on 21st January 2012, against Fleetwood. On 25th February 2013, Pickford was loaned out for Conference Premier Club Alfreton Town. The next day, he made Alfreton debut against Hyde United in a 5-0 victory. On 2013, 2nd August, Pickford joined League Two club Burton Albion on a loan. The next day he made his team debut against Cheltenham Town. On 2014, 8th February, again he signed another loan deal with League club Carlisle United. In the same day, he made his team debut against Gillingham in a 2-1 loss. His first performance influenced the Carlisle United to keep him on loan for the rest of the season. Pickford signed loan deal for the 2014-15 seasons with League One club Bradford City on 21st July 2014. He made overall 18 league appearance for the club. On 15th June 2017, he signed for Everton on a five year contract for a fee of £25 million. On 12th August, he made league debut for the club against Stoke City in 1-0 victory at Goodison Park. He still plays for this club with skillfully. 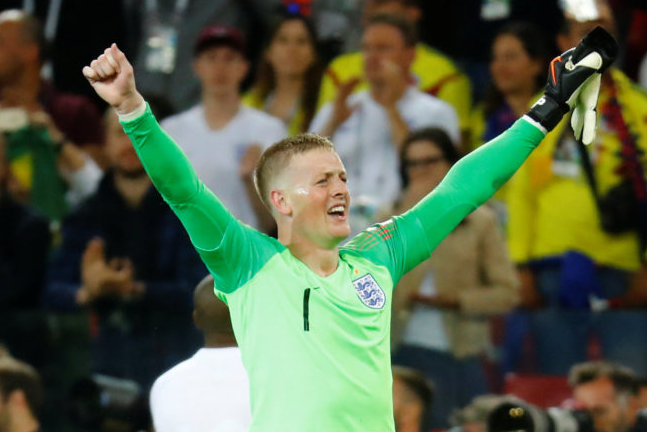 Jordan Pickford represented himself in his national country, England in both senior as well as junior levels in many tournaments. In October 2009, he was called up for the England U-17 national team to face against Wales U-16. He then made his U-21 England national team debut against United States U-23s on 3rd September 2015. He was a also the team member that won the "2016 Toulon Tournament". His name was also enlisted in the squad of England national team in this World cup 2018 Russia. He is currently playing in the World cup. He is the active player in this World cup. He had played altogether 5 matches till the quarter final. And he may be show up in the semifinal too. Pickford is unmarried but he has a girlfriend named Megan Davison. They have been dating together for a very long time. He now plays football for a living and his girlfriend is a university graduate. Jordan Pickford is very successful in his personal as well as professional career as a football player. He receives $81 thousand as his weekly wage and $4.2 million as his annual salary from this club. As of 2017, he has an estimated net worth around $5 million. His current market value is $17.90 million.